The Jewel of the Waikiki Grand! Incredible views, highly desirable Waikiki location and income potential!!! Not to be missed. The Waikiki Studio you've been looking for and may not see again! Diamond Head greets you each morning with a beautiful sunrise as you look across to the brilliant blue ocean. You'll love the quality finishes and upgrades of this turnkey home or investment property! Zoned for Daily/Weekly rental and Pet Friendly too! 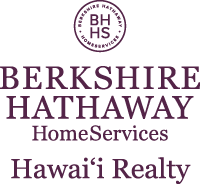 I am interested in 134 Kapahulu Avenue UNIT 912, Honolulu, HI 96815. Sign up for Inside AccessTM to view recent sales near 134 Kapahulu Avenue UNIT 912.